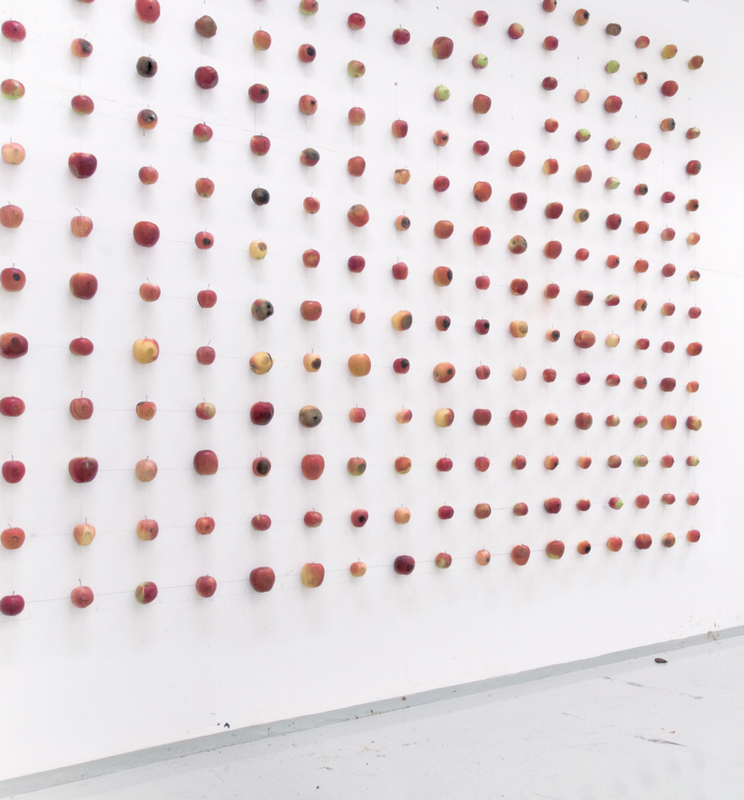 The goal of the project was to show the process of decay as a polychromatic entity. 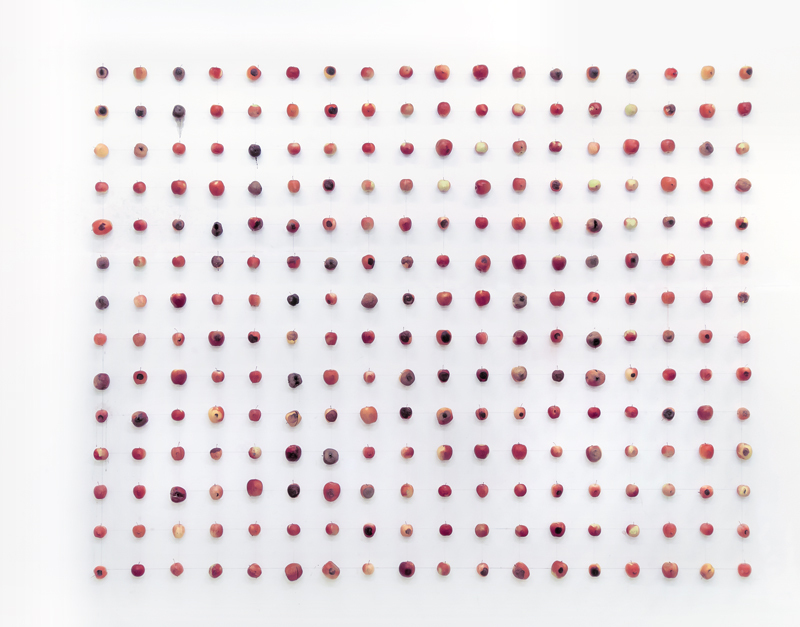 Over the course of several days apples were attached to a grid. The next step is to take a photograph of the installation every day from the same frontal position during the course of multiple months. Whenever an apple falls from the grid due to decay, a new, fresh apple will be added. This process repeats for several months. Toward the end of the project all pictures will be used in a stop-motion animation showing a time-lapse of decay while the grid remains the same.